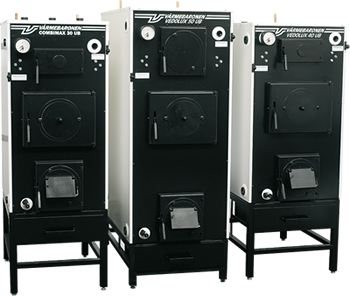 Vedolux 40 UB is the natural choice for gasification heating without electric fans. Good natural ventilation is REQUIRED for the Vedolux 40 UB model. 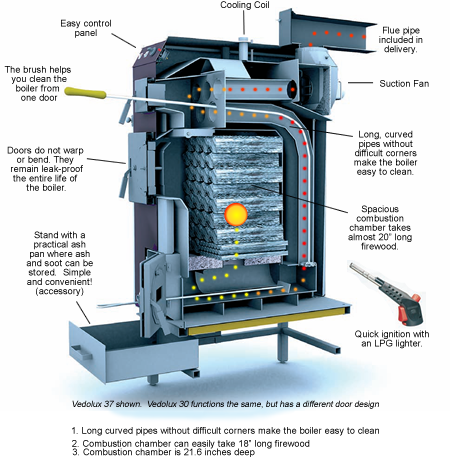 Refer to the chart on the brochure for chimney specifications to determine whether your chimney draws sufficiently well for a natural ventilation boiler. 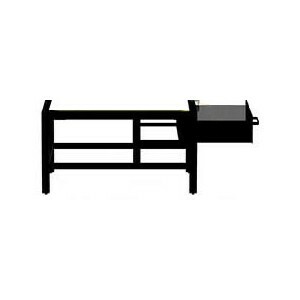 If your chimney does not meet the minimal requirements, a Vedolux 30/37 with integrated fan is recommended. 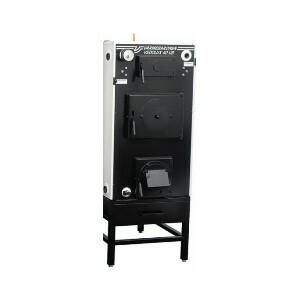 The Vedolux 40 UB is equipped with a burner door opening designed to accept additional burner heads. With an adapter kit, the Viking Bio pellet burner or an oil burner head can attach to the door opening. Switching between fuel sources becomes simple.